Jumia is listing 17.6% of the company at $14.50 a share, giving the company "unicorn" status - a technology start-up worth $1bn-plus. The so-called "Africa's Amazon" has 4 million customers on a continent where just 1% of retail sales are via online. Its largest shareholder is MTN, Africa's biggest telecoms company. The company said on Friday that the flotation on the New York Stock Exchange would raise $196m (£150m) for shareholders and for future investment. Jumia's financial advisers had been pitching the shares to investors at between $13-$16 each. The company's sales jumped by almost 40% last year to $147.3m. The BBC's Africa Business Editor, Larry Madowo, said that Jumia was not yet profitable and had accumulated losses of nearly $1bn since it was founded. 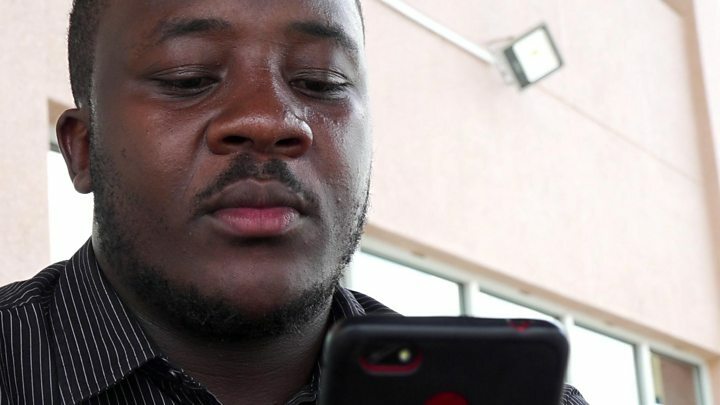 Although there are technical and infrastructure hurdles to growing Africa's online retail market, he said a big selling point was that Jumia accepted mobile money payments across a continent where few people have credit or debit cards. 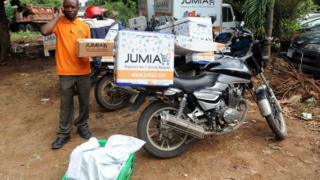 However, he said Jumia faced tougher competition. "Its initial public offering coincides with the launch of a competing app from global logistics provider DHL allowing consumers in 11 African countries to buy directly from global retailers. "The DHL Africa eShop brings together more than 200 American and British retailers and will deliver directly to homes, something Jumia has struggled with." Erik Hersman, chief executive of Nairobi-based internet and software firm BRCK, said Jumia's listing sent an important signal to other African start-ups that a major stock market listing was possible. "It's an important event in the evolution of the African tech scene," he told the BBC last month.